There were 2183 closed sales in March 2019, a 7.9% decrease from last year, but a 26.5% increase from one month ago. New listings (3504) were down 3.9% from a year ago, but also up 43.4% from February of 2019. Pending sales were down 5.4% from one year ago at 2738 pending sales. Market time decreased slightly and is now on average 68 days for the Portland Metro Area. The inventory also decreased to 2.2 months. The average sales price has increased 4.1% from last year and is currently $452,700. We sell all types of real estate in the Portland metro area. We have experience in selling single family homes, townhouses, condos and multi-family homes. Brian Porter has been a Realtor in Portland for 13 years and has the experience and team needed to assist with all your real estate needs. 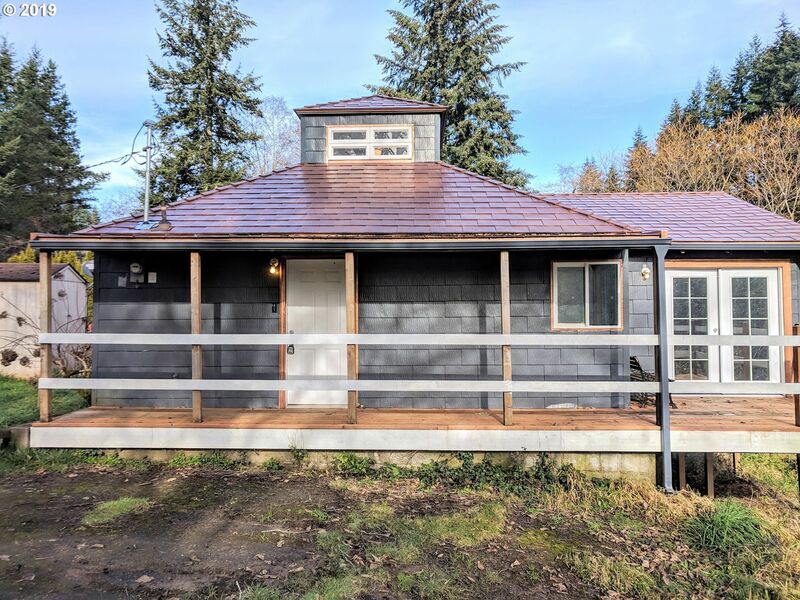 Portland homes for sale are limited and we are experiencing a “seller’s market.” This is great news for property owners who are looking to move up, downsize, change areas and so on. Homes are selling within weeks of being put on the market. We work with many sellers and are able to sell homes in record time with our marketing and selling skills. Brian has a formula for listing and successfully selling properties that he utilizes with all his clients, while keeping each listing fresh and marketable on the internet. It truly is an asset to have his experience working for you in this market. Purchasing a home in Portland is also an exciting venture in this market. It is imperative to be ready and able to purchase before looking at homes. We have the team needed to assist you in order to become ready to purchase and able to close on your new home. This market requires a full time agent that is constantly scouring the market for you and able to show homes as they become available to view. Brian has the knowledge, team and time in order to work hard with buyers in this fast paced market. When you are looking for a Portland REALTOR, keep in mind that you want to work with a REALTOR that has the team, experience and local knowledge needed to make your experience a positive one. We have sold hundreds of properties over the years and have lived throughout the Portland Metro area as well. We are very familiar with living in the different types of homes and the various neighborhoods in this dynamic city and are thrilled to share this with you. On our Portland Real Estate Blog, we have graphs and data to keep you informed about this rapidly changing market, and we cover topics like, financing a condo in litigation. 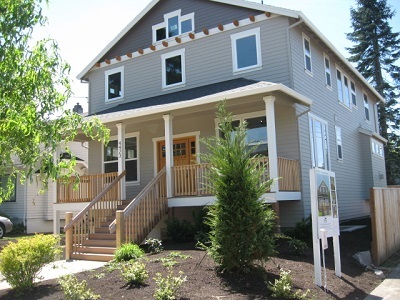 Portland New Construction is extremely desirable right now and newer homes in close in neighborhoods are becoming more prevalent. 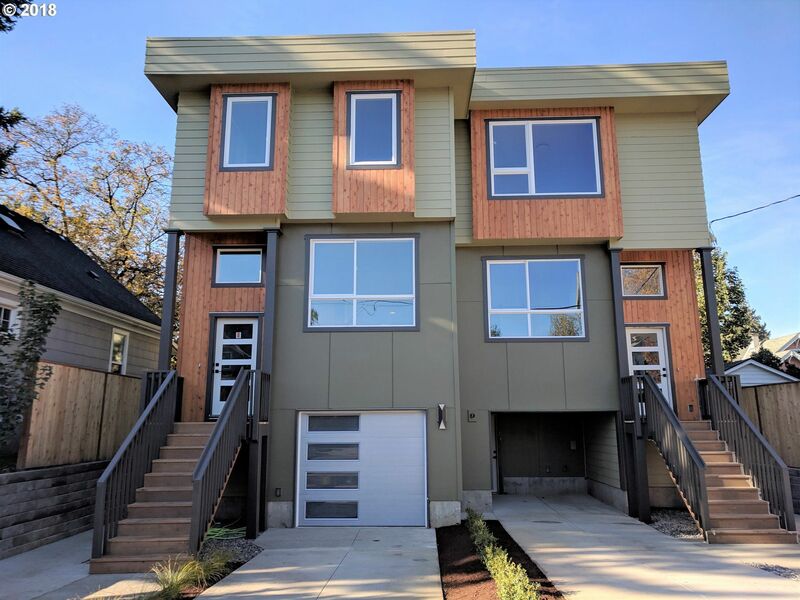 You get all the benefits of living in a close-in NE or SE Portland neighborhood coupled with having the convenience of a new home. Close in neighborhoods provide excellent schools, shopping, dining and entertainment nearby while being minutes from Downtown by car or public transportation. Portland is also an extremely walk-able city with great public transportation and lots of public art. 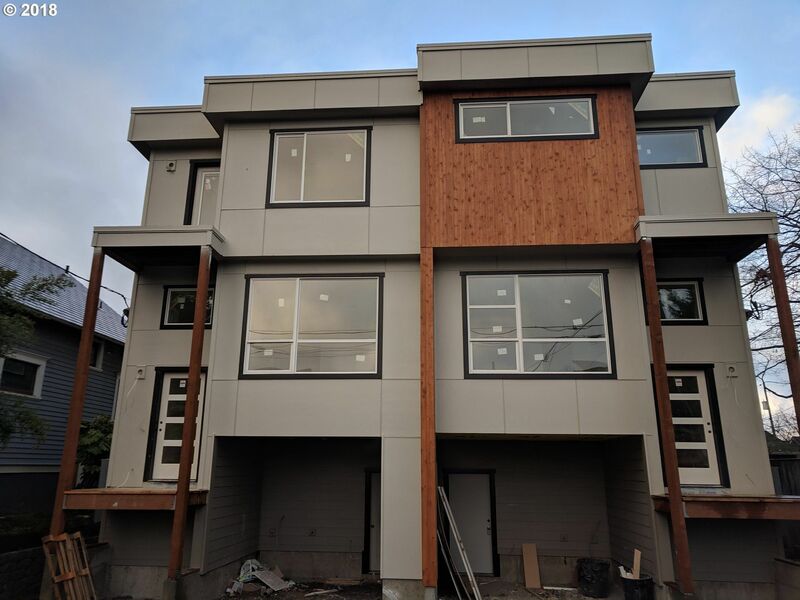 We work with builders in Portland that are constructing single family homes, townhouses and condos that really fit the neighborhoods. There are several projects in the works that will be coming on the market soon and others that we have currently listed. Please call or email us today for more details, we are excited to share this with you! And by the way, feel free to call us after hours or on the weekends. We look forward to hearing from you, and we will do our best to answer your real estate questions. As the owner of PortlandDuplex.com, I have been watching, studying and selling duplexes in Portland for the past 10 years. Multifamily property is a stable investment that offers reasonable returns and potential for appreciation. Don't forget to check out our blog. It has dozens of article about Portland Real Estate, neighborhoods, market action, the local lending environment and other issues that affect homes in Portland. 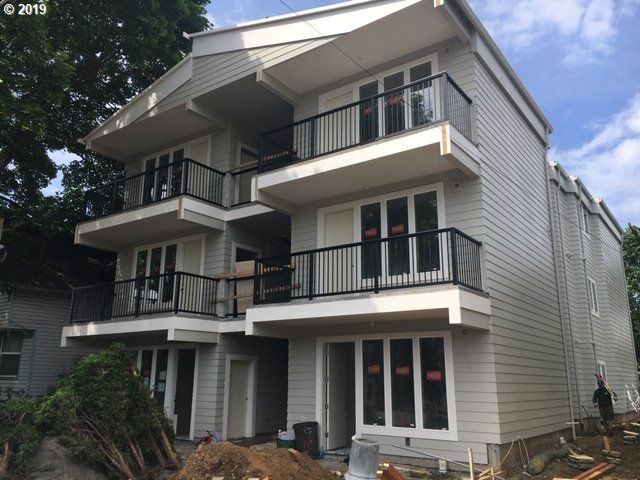 New Construction, 3 bedroom, 2.5 bathroom townhouse with a 2 bedroom, 1 bathroom ADU on the lower level. Excellent location, 1 block North of Alberta Street on the cul-de-sac street 14th Place. It has an open floorplan, great light, high ceilings, gourmet kitchen and quality finishes. Convert the Den/Office for an additional bedroom? New construction to be completed in February 2019. This property is a 3 Bedroom, 2 and 1/2 bathroom townhouse with a 2 bedroom 1 bathroom ADU that is located 1 block north of Alberta Street on the cul-de-sac street 14th Place. This townhouse has an open floor plan, great light, high ceilings, gourmet kitchen, quality finishes. Convert the den/office for an additional bedroom? Interior photos are of a similar finished property. Hello Brian, You may remember us. You were our agent when we purchased a condo at North Park Lofts several years ago. We are thinking about selling and wanted to speak with you. Which condos have HOAs that allow all breeds of dogs with good manners? Hi Sue, This is a great question. I wish I had a good answer for you, but I don't. Some condos will exclude certain breeds and other condos will put a weight limit on the pets allowed. I have never seen a list of condos that will allow all breeds; I have only been able to get this information on a case by case basis. 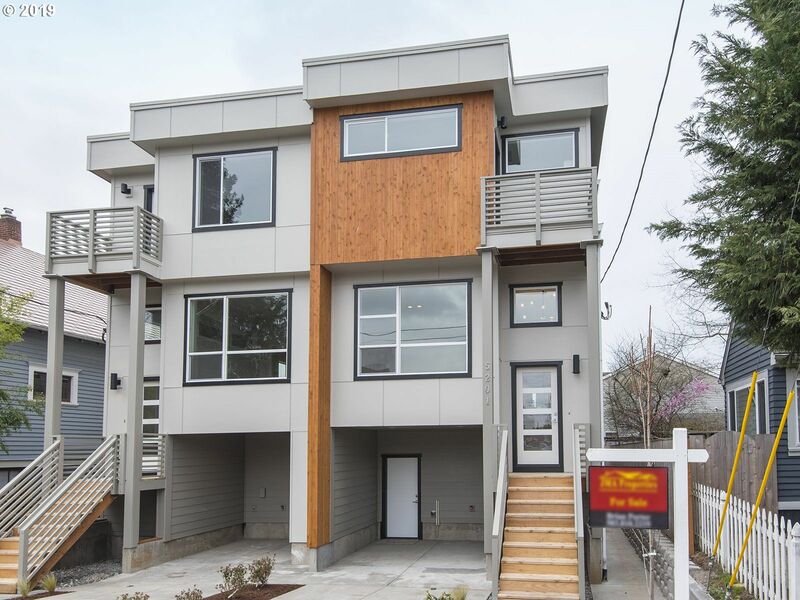 Is there a list of Duplexes outside Portland? Only preliminary looking but would rather be on the West or prefably SW- Sherwood, Tigard Lake O, Tualatin Ect. Would also be interested in exceptional deals(I know who wouldn't) bank owned single family 3+ bed in same area. Thanks! Thank you for reaching out to me via my website brianporter.com I will be very happy to help you find a nice, safe, family oriented home in Portland. From the criteria that you have mentioned, I think NW Portland (Forest Heights, Bethany and Rock Creek) would be good options for you. I think that Beaverton and Hillsboro should also be considered. Are you going to be working on the west side of Portland? I will send you some listings in a separate email for your consideration.